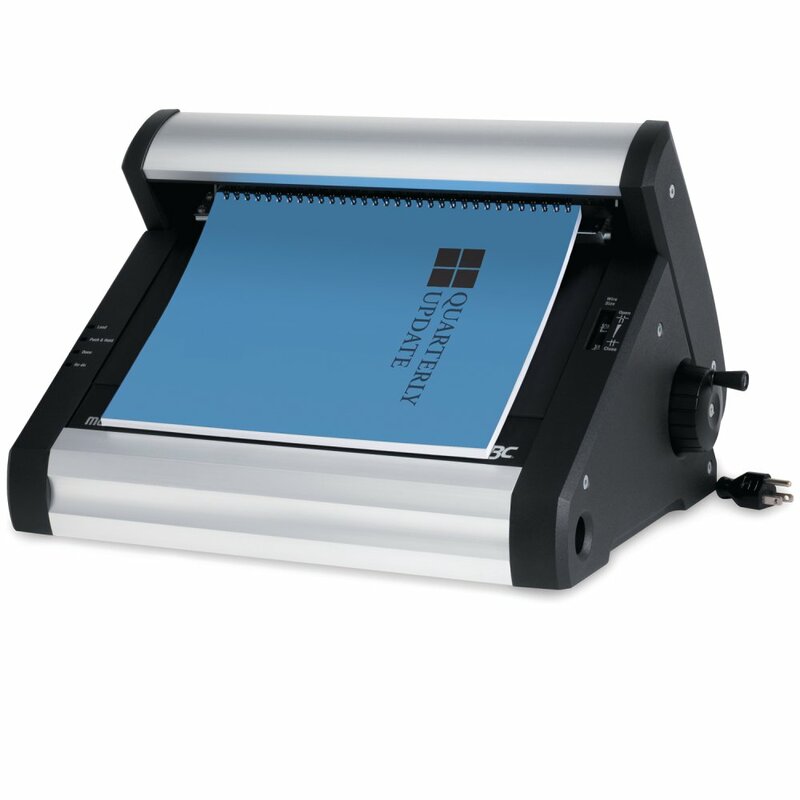 Wire binding is faster and easier with this electric finisher. A dual load-and-crimp station eliminates the extra step of moving documents for loading. Just hang the spine, load the paper and close with the touch of a button.